The woman who was destined to become one of Britain’s most famous prophets was born Ursula Sonthein in the year 1488, allegedly in a cave in Yorkshire. Even at birth she was noted to be hideously ugly with a misshapen bone formation, an elongated chin and grossly textured skin. Some have even speculated that the traditional iconic representation of a witch as a repugnant hag may originally derive from Mother Shipton. Ursula was illegitimate, and her father was unknown. Her bizarre appearance, of course, led to her being tagged as the Devil’s child. Ursula’s lack of good looks did not prevent her finding a husband. She married Toby Shipton, a carpenter from Shipton who appeared devoted to her. Strange spirits had seemed to follow Ursula around throughout her life, and she became known as a seer. In her own time, Mother Shipton foretold the fate of Cardinal Wolsey, Henry VIII’s Lord Chancellor, who was due to come on a visit to York. She predicted that he would see York but never set foot in it again. In the last leg of his journey, Wolsey stayed overnight at Cawood Castle, which offered a view of York from its battlements. Wolsey was then recalled to London, where he was charged with treason. Wolsey met his death shortly afterwards and never did visit York again. Charles Hindley, author of an 1862 book about Mother Shipton, later admitted he had concocted these verses himself. And men on tops of houses go. During the fire, men were often placed on rooftops to watch the progress of the flames. Our land will be ruled by two women. Yet shall the child stay. Under this interpretation, the two women would be Margaret Thatcher and Queen Elizabeth II, Prime Minister and monarch of Britain respectively, and the word child would refer to an imperial colony or ex-colony, Argentina of course being a former colony of Spain. Mother Shipton’s prophecies were once very famous in Britain but are now much less so. Her tourist potential has been realised, however. Those wishing to learn more about her can now visit the cave in which she was said to have been born, complete with park, themed walks, and adventure playground nearby. 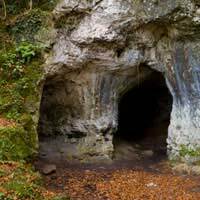 Whatever the truth of the Mother Shipton legend, a visit to the site can make a fun day out for any family with children.